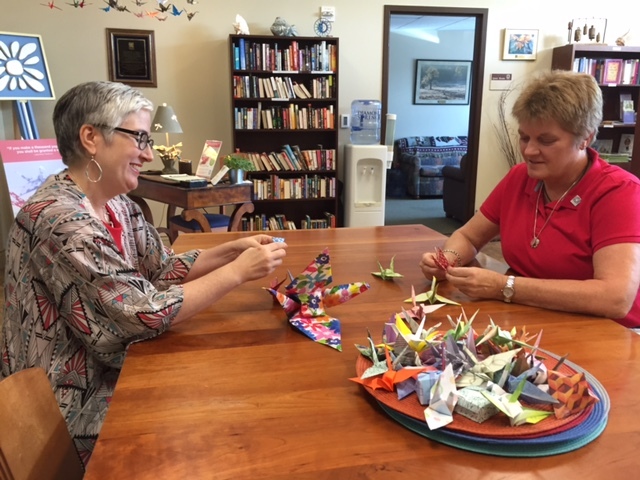 The Paper Crane Project is the brainchild of Amy Kane, a triumphant cancer survivor. Amy reached out to the Hawthorne Cancer Center because of the support they provided during her cancer battle. It is her wish that through this project, other families will receive the support they need to conquer cancer. An ancient Japanese legend promises that anyone who folds a thousand origami cranes will be granted a wish by the Gods. Some stories believe you are granted eternal good luck, such as long life or recovery from illness or injury. The crane in Japan is one of the mystical or holy creatures and is said to live for a thousand years.